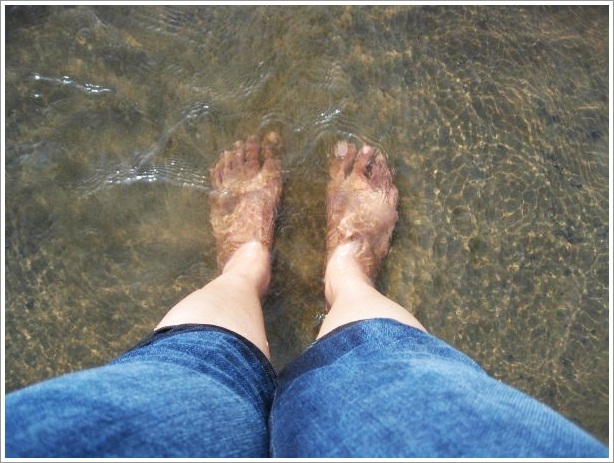 After a long walk along the beach in Goa on a hot and sultry day, the cool water caressing my feet was a instant soother. I looked from above at my feet with gratitude and realised that it is the most used part of my body but often ignored and not thanked enough!! It was a turning point and I embarked on a journey to thank my body every day for supporting me to experience this life. Since then, I am happy to say that good health and well being have followed me around like a shadow. Sure, please go ahead. This is in Miramar beach Goa.